Central National sells more than three million metric tons of paper, pulp, packaging, tissue, wood products and metal every year, delivering goods from over 200 manufacturers around the world. We are on the ground throughout North America, South America, Asia and Europe helping our clients navigate the local market while providing the global experience and creative solutions that optimize their business objectives. While we are a global company, our sales and marketing teams activate on a strictly local level – from Vienna and Vietnam to Brazil, Russia, China and India. We have built deep local relationships in each region that simplify the sales process and make doing business easy. Our teams also specialize in developing long-term sales and marketing programs that help our clients successfully take product to market around the world. We have a thorough understanding of the local business practices and languages in all our markets, as well as the unique trade regulations, laws, insurance and duties that can be as varied as the regions themselves. Selling and moving paper, pulp, packaging, tissue, wood products and metal with speed and accuracy from mill suppliers around the world to our global customers is a complex business. Our Logistics Solutions team expertly handles all aspects of shipping with the technology, flexibility and capacity of a global network to ensure product delivery in the most cost-effective way possible to meet the needs of our suppliers and customers. 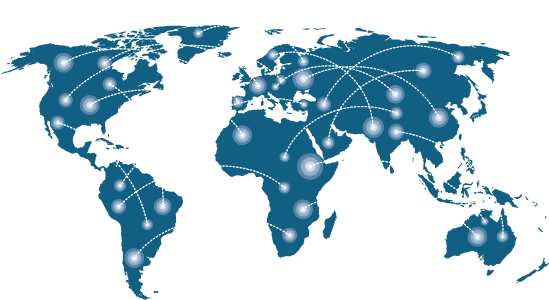 Along with a global network of logistics partners, our commercial support team offers solution development and procurement; technological support, including EDI, integrated fulfillment and shipment tracking; logistics execution and documentation support; insurance and claims; and customs, classification, compliance and clearance process.